Caper white Belenois java, photographed by Patricia Gardner. 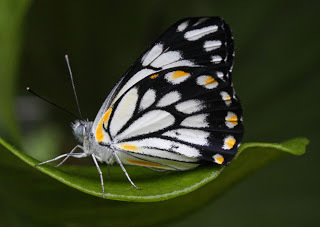 Belenois, the caper whites, is a genus of butterflies found in the Old World tropics whose catterpillars feed on species of Capparaceae. See also: Caterpillars and their capers (Taxon of the Week: Belenois). [PP02] Patrick, B., & H. Patrick. 2002. Butterflies of Fiji. Weta 24: 5-12.